This volley against Marcos Baghdatis earns Gael Monfils Hot Shot honors on Day 3 of men’s action at the 2019 Dubai Duty Free Tennis Championships. It was right place, right time for Gael Monfils against Ricardas Berankis in this hot shot against on quarter-finals day at the Dubai Duty Free Tennis Championships. 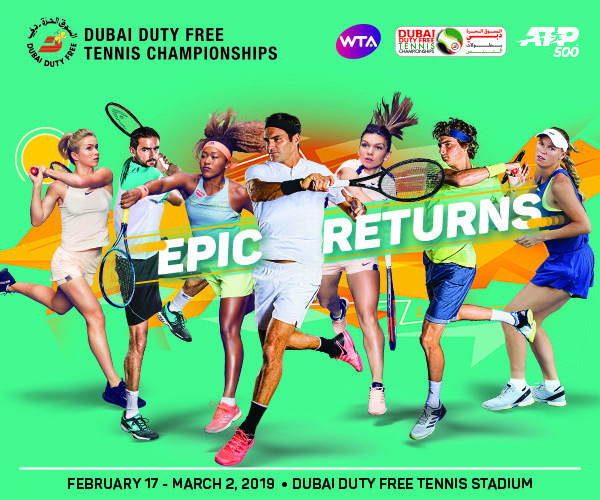 Stefanos Tsitsipas recovered from a second set disappointment to defeat Hubert Hurkacz 7-6 6-7 6-1 and reach the semi-finals of the Dubai Duty Free Tennis Championships on Thursday.